Key Difference: The Redmi 2 offers a 1.2 GHz Qualcomm Snapdragon with an Adreno 306 GPU, while the Redmi 2 A comes with the 1.5 GHz quad-core Leadcore L1860C paired with a Mali- T628 MP2 GPU. Although, Xiaomi is a fairly new name in the Indian smartphone market, it is actually the world's 4th largest smartphone distributor. It is known for developing and selling smartphones, mobile apps, and consumer electronics. It made a huge splash in many markets with the launch of its new Mi line, including the Mi band. Its new phones, aimed for the masses and for the budget phone category includes the Redmi 2 and Redmi 2A. 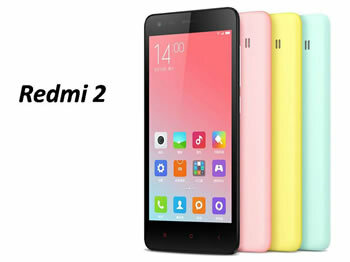 On the occasion of its 5th anniversary, the company announced a new variant of its Redmi, the Redmi 2A. Both the phones are quite similar and only offer a few differences. Let’s get down the similarities first before we address the differences. Redmi 2 and 2A come with the same 4.7 inch IPS LCD, with Corning Gorilla Glass 2. The screens offer a 312 ppi pixel density. Both the phones are the same in terms of dimensions and weight. 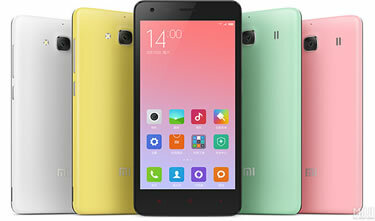 Both come with the companies MIUI 6.0 user interface over Android OS. Both the phones are dual-sim and house the same cameras – an 8 MP rear camera and 2 MP front camera. The phones also offer the same 1 GB RAM, 8 GB internal memory and even the 32 GB expandable memory. The main differences arise in the processors of the phone. The Redmi 2 offers a 1.2 GHz Qualcomm Snapdragon with an Adreno 306 GPU, while the Redmi 2 A comes with the 1.5 GHz quad-core Leadcore L1860C paired with a Mali- T628 MP2 GPU. Another difference is the Android version that is available with the phone. Redmi 2 comes with Android 4.4.4 (KitKat) and the Redmi 2 comes with Android 5.0 (Lollipop). Other than that the phones could be carbon copies of each other.